The UN agency for migration IOM has said that it had on June 5 used a chartered sea vessel to carry 132 Ethiopian migrants, bringing the total migrants evacuated since last week to 233, to Djibouti. The IOM vessel, it noted, departed from the port city of Hudaydah, which has been experiencing violent clashes over the past week, making the logistics of the movements extremely difficult. The vessel was held for inspection by the parties controlling the sea movements for several hours. 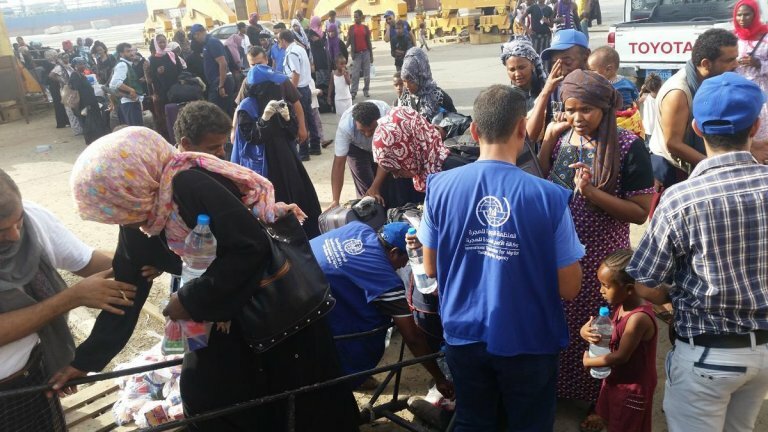 The IOM office in Djibouti received the migrants in the organization's reception center and provided humanitarian assistance, medical support and looked at options for onward transportation to Ethiopia. IOM is working closely with both Ethiopian and Djibouti Governments to provide maximum support to the migrants, it said. The boat left with 132 passengers, 86 Ethiopian males, eight boys, 36 female and two girls. The majority of the migrants were held in a Sana'a holding facility, while some had been staying with host families supported by IOM. Migrants from Ethiopia and Somalia ''attempt to travel through Yemen to reach the Gulf, in particular the Kingdom of Saudi Arabia. Both while traveling to and in Yemen, migrants are abused by smugglers and other criminals, including physical and sexual abuse, torture for ransom, arbitrary detention for long periods of time, forced labor and even death. Some migrants get caught up in the conflict, sustaining injuries or dying from shelling, and some are taken to detention centres, both official and unofficial'', the IOM noted. Through its ts Voluntary Humanitarian Return programme, IOM is providing transportation and return support from Yemen to the migrants' final destinations in their home countries, it noted.